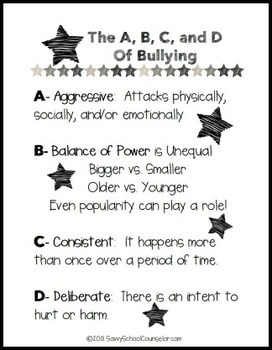 This free download is a bullying poster called The A, B, C, and D of Bullying. There are three versions including the black background as shown in the picture, a white background with colored letters, and a black and white version if you want to make several copies to give to students. 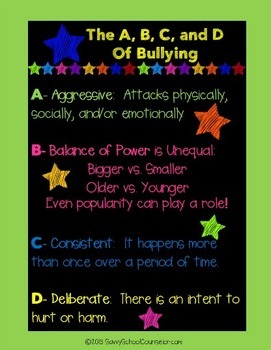 Thank you for checking out my Bullying Poster. 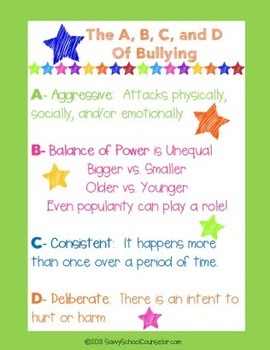 Be sure to check out the other bullying products in my store. Follow me before you go to receive alerts about my latest products and freebies.